Discussion in 'the Art of Noise' started by ivano, Feb 9, 2017. I decided to start this thread about the most important rock band in Argentina and Latin America. Frontman Gustavo Cerati, bassist Zeta Bosio and drummer Charly Alberty were part of this trio inspired by the new wave movement and post punk of the early eighties. 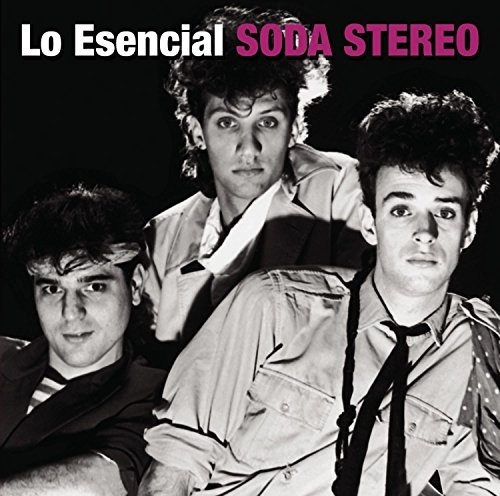 They realesed seven studio albuns during their carrer, including the homonym Soda Stereo (1984); 'Nada Personal' ('Nothing Personal', 1985); Signos ('Signs', 1986); Doble Vida ('Double Life', 1988); Canción Animal ('Animal Song', 1990); Dynamo (1992) and Sueño Stereo ('Stereo Dream', 1995), and two live performance, including their last show El último gran concierto ('The last concert', 1997). Ten years after, Soda returns for a reunion tour, also recorded ('Gira me verás volver', 2007). In 2010, Gustavo Cerati had a stroke after a concert in Paraguay. He was in coma during four years, and then he passed away in september 4th of 2014. Soda was the first spanish rock band that made a MTV Unpplugged in the late 90's ('Comfort y música para volar' or 'Confort and music for fly', 1996). In march of this year, the pestigious company 'Cirque Du Soleil' will launch in Argentina an especial show named 'Séptimo día' ('The 7th day'), inspired by the music of the band. Besides the language, I hope you like their music. They mean a lot for latin community.